John M. Laverty, professor of music in the College of Visual and Performing Arts’ (VPA) Rose, Jules R. and Stanford S. Setnor School of Music and an accomplished musician, recording producer and arranger, has published his first book, “In the Game: Music and Multiple Sclerosis: A Memoir of Success and Unexpected Challenges” (BookBaby). 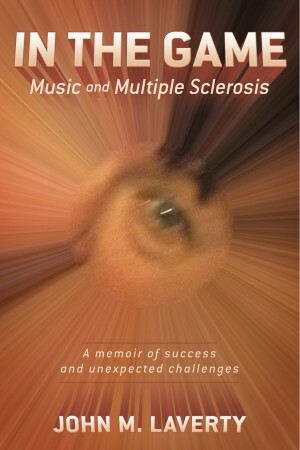 Now “in the game” of multiple sclerosis (MS), he documents learning how to live and prosper in the music profession—one of the most difficult in America—while having the chronic neurological disease, which affects the central nervous system. Following a quick rise as a professional musician, Laverty explains the first moment he discovers a strange malady while trying to jog, through to an eventual diagnosis of primary progressive MS 15 years later in 2009. In the latter part of the book, he offers a researched critique of the medical profession from how MS is diagnosed and treated to how the medical research community and America’s political system are failing MS sufferers. “In the Game” is available on Amazon.com.